As long-time readers of this site will no doubt remember, a survey was made some time ago of the Longest Surviving Oscar Winner’s by Category. 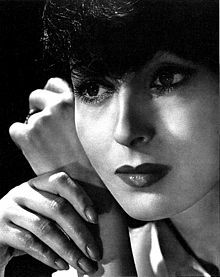 Over time I’ve done my best to update the list, as needed, and have to do so today as our longest surviving Best Actress winner, Luise Rainier, died. She was 104. A star in the 1930s, Ranier made history by becoming the first back-to-back Oscars — in her case, she was Best Actress two years in a row. The first of these was for The Great Ziegfeld, a previous entry in The Best Picture Project. The other was for The Good Earth. Despite scaling to such heights, the fall for Ranier was fast and by 1938 she’d all-but-abandoned her career. (As an aside: with the recent passing of Mike Nichols, we also lost our oldest surviving Best Director).